OPPO has taken one step ahead in terms of being a Selfie Expert. 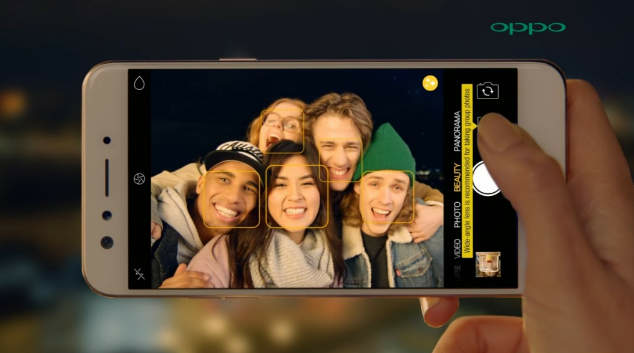 On their new Oppo F3 Plus smartphone the company has introduced dual front-facing camera sensors. 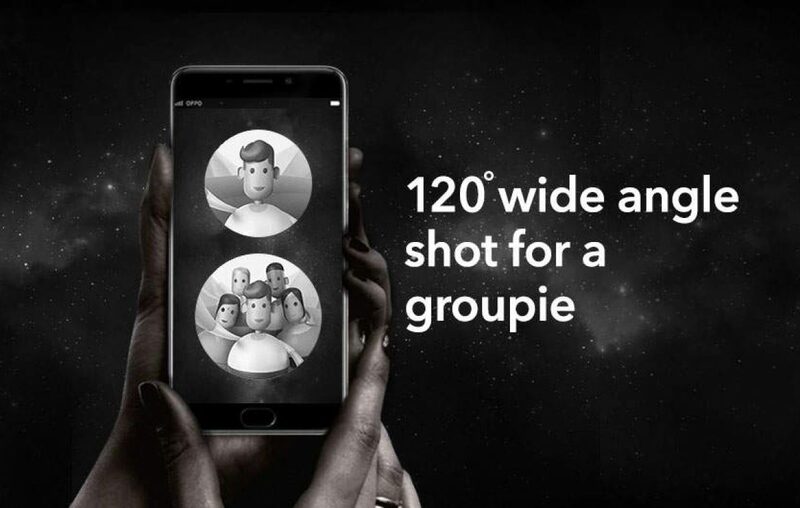 One of its kind setup that is touted to make everyone of their new smartphones users a Selfie Expert. Below we share OPPO F3 Plus specifications focussed on camera department. The smartphone industry has caught this trend of introducing selfie smartphones looking at the popularity. Taking Selfies has become a phenomenon in our nation. It can be stated that Indians have become obsessed with Selfies. And that’s why mobile brands have shifted their focus to offer better front-facing cameras on their smartphones. Starting with the highlight, on the front, the device sports dual-sensors. Where one is of 16-megapixel resolution, the primary camera, responsible for capturing shots with high resolution. While the secondary camera is of 8-megapixel, which is responsible for capturing wide angle shots. The secondary sensor also helps in capturing the bokeh effect, where background is not in focus, highlighting the object in foreground. The bokeh effect is a popular mode of choice among photographers. It captures the essence of an object by giving it a complete focus. Talking about the rear sensor, it is of 16-megapixel resolution sporting f/1.7 aperture number. It is believed that rear camera can catch more light with such aperture number. For comparison, earlier model had f/2.0 aperture. The Camera UI needs to be minimal and that is what OPPO has done on their F3 Plus smartphone. The camera app interface is kept minimalist, thus, making it extremely easy to use. Interaction with functions and menu settings is easy, as navigation is simple. The brand touts that its interface is elegant and offers vast varieties of camera modes such as Photo, Beauty, Panorama, Video, and more. Toggling between HDR mode and Flash has been made easy. Moreover, if you want to switch camera or access gallery, it’s alongside the shutter button. There are some nifty features bundled like 4K video recording and time-lapse using rear facing camera. 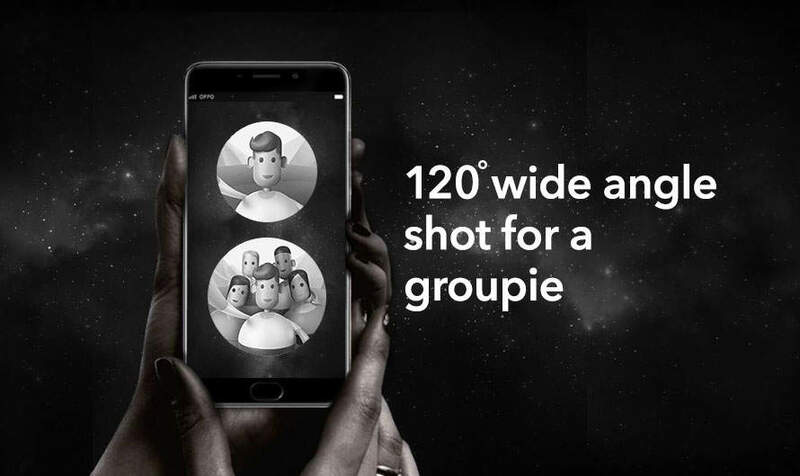 The front camera setup allows to capture a Groupie, where all your group members can easily fit in one capture. Thanks to the wide angle lens, which can capture 120 degree angle shots. Talking about the OPPO F3 Plus specifications it is powered by a Qualcomm Snapdragon 653, which is an Octa-core processor. The chipset is accompanied by 4GB of RAM and 64GB of internal storage, which can be expanded up to 128 GB via microSD card slot. There is a 6-inch 1080p display with pixel density of 367 ppi. The device is running on custom Android Marshmallow OS based Color OS 3.0. The fingerprint sensor is present in home button at front. The battery capacity of handset is at 4000 mAh, which support VOOC fast charging technology. The new OPPO F3 Plus smartphone is touted to be a perfect handset for users seeking to capture a lot of selfies. This smartphone is a perfect fit for such kind of users. Even if you’re not someone who is obsessed with selfies, it is still a good purchase at the expected price range. Since, it packs fast processor, high RAM and storage, as well as large battery with fast charging support. Will you buy this handset as your new selfie companion? Let us know in the comments box below. Mi Mix’s Edge-less Design: Is the world ready for it yet? Top 7 Motorola mobile phones you should check out! Is the Symetium smartphone too late to enter the race with OnePlus 3T?